My uncle invited my family to visit his new house at the countryside at our home town in He Bei province. I was informed by my elder brother at two weeks ago, we were going to be there with my dear mother and other brother at the end of March. I have two uncles at my mother’s family, the elder one has passed away at four or five years ago, this uncle is over 80 years old, he is more healthy and energy except his listening is little weak than others. 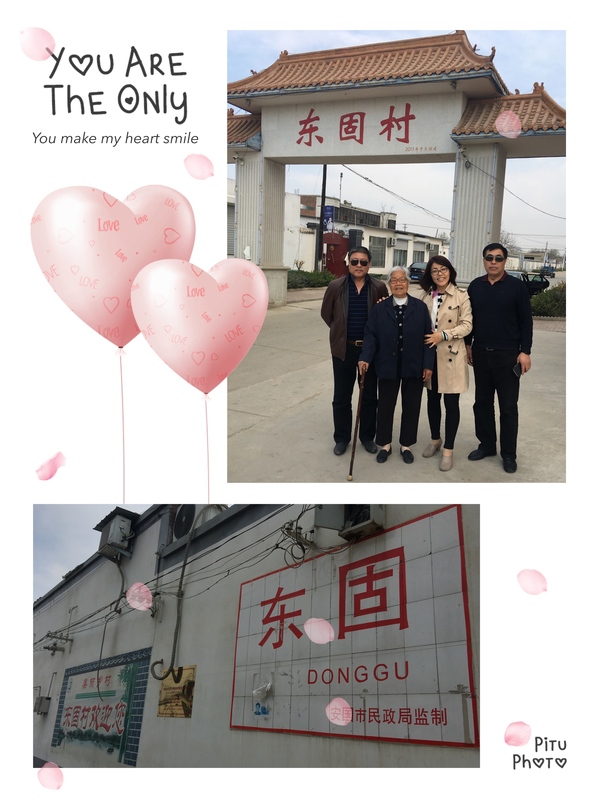 He worked in railway administration at Lan Zhou city at the beginning and then He transferred to Yin Chuan city with his family for 30 years, He has two boys are all has good occupation during the time, right now they wanted to go back the home town to enjoy the rest of life. They self build the house at the traditional countryside where is the old house of his grandpa’s. I know many of the white collars cannot afford the cost of house in the big city, instead of buying the housing in the secondary city or countryside, I am totally agree the good idea for young people or for their parents. I have not gone back my mom’s home town for many years. My memorize was only when I was a little girl at there, this invitation I was so happy I can go with my family to feel the nature view and see some relatives. We were going to stay there for three days with two nights, it was taken about three hours by car from Beijing to He Be. My mom is 86 years old, even it is not too far, but this outing is also the challenge for her, surely we hope everything is smoothly. Four of us started up at last Friday after Tom sweeping for my father. My mom home town was fall behind. There were many surprises for this trip I can see, the first one was the roads are changed so wide and straight, the dirt road were all disappeared. When we were there, the antique arched entrance with the name of the village was just aside of street, it was so impressive for me, surely I took the photo for my blog afterward. I was told the gas and the electricity had been into each home at recent years, I thought the gas tank was not bad for countryside at the moment. The carts and cars were in and out from this entrance. To be continue.